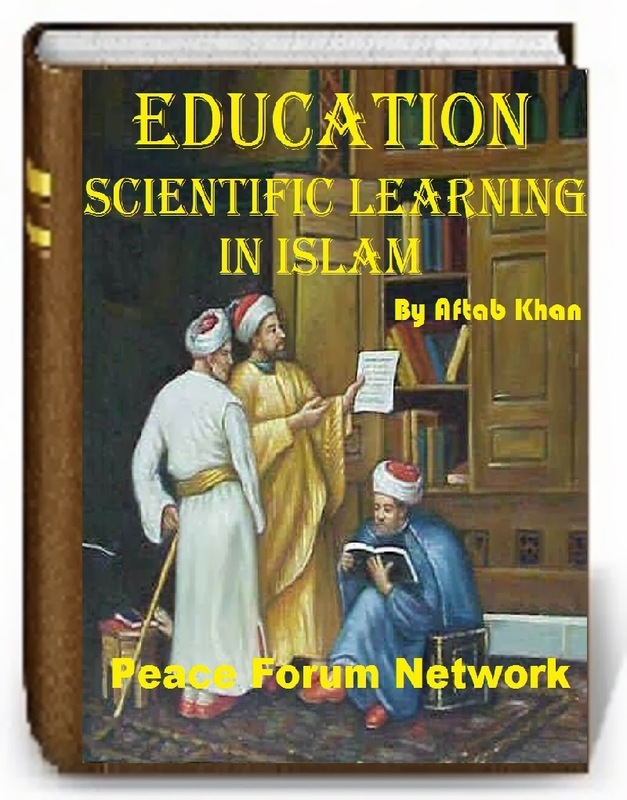 The contributions in the advancement of knowledge by the traditional Islamic institutions of learning (Madrasahs, Maktab, Halqa & Dar-ul-Aloom) are enormous, which have been summed up in Encyclopedia Britannica: “The madrasahs generally offered instruction in both the religious sciences and other branches of knowledge. The contribution of these institutions to the advancement of knowledge was vast. Islam does not restrict acquisition of knowledge to men only, the women are equally required to gain knowledge. Hence many eminent women have contributed in different fields. Aishah as-Siddiqah (the one who affirms the Truth), the favourite wife of Propeht Muhammad (peace be upon him), is regarded as the best woman in Islam. Her life also substantiates that a woman can be a scholar, exert influence over men and women and provide them with inspiration and leadership. Her life is also an evidence of the fact that the same woman can be totally feminine and be a source of pleasure, joy and comfort to her husband. The example of Aishah in promoting education and in particular the education of Muslim women in the laws and teachings of Islam is one which needs to be followed. She is source of numerous Hadith and has been teaching eminent scholars. Because of the strength of her personality, she was a leader in every field in knowledge, in society and in politics. Sukayna (also “Sakina), the great granddaughter of the Prophet (peace be upon him), and daughter of Imam Husain was the most brilliant most accomplished and virtuous women of her time. She grew up to be an outspoken critic of the Umayyads. She became a political activist, speaking against all kinds of tyranny and personal, social and political iniquities and injustice. She was a fiercely independent woman. She married more than once, and each time she stipulated assurance of her personal autonomy, and the condition of monogamy on the prospective husband’s part, in the marriage contract. She went about her business freely, attended and addressed meetings, received men of letters, thinkers, and other notables at her home, and debated issues with them. She was an exceedingly well-educated woman who would take no nonsense from anyone howsoever high and mighty he or she might be. Um Adhah al-Adawiyyah (d. 83 AH), reputable scholar and narrator of Hadith based on reports of Ali ibn Abu Talib and Ayesha; Amrah bint Abd al-Rahman (d. 98 AH), one of the more prominent students of Ayesha and a known legal scholar in Madina whose opinions overrode those of other jurists of the time; Hafsa bint Sirin al-Ansariyyah (d. approx. 100 AH), also a legal scholar. Amah al-Wahid (d. 377 AH), noted jurist of the Shafaii school and a mufti in Baghdad; Karimah bint Ahmad al-Marwaziyyah (d. 463 AH), teacher of hadith (Sahih Bukhari); Zainab bint Abd al-Rahman (d. 615 AH), linguist and teacher of languages in Khorasan. Zainab bint Makki (d. 688 AH) was a prominent scholar in Damascus, teacher of Ibn Taimiya, the famous jurist of the Hanbali school; Zaynab bint Umar bin Kindi (d. 699 AH), teacher of the famous hadith scholar, al-Mizzi; Fatima bint Abbas (d. 714 AH), legal scholar of the Hanbali school, mufti in Damascus and later in Cairo; Nafisin bint al Hasan taught hadith; Imam Shafaii sat in her teaching circle at the height of his fame in Egypt. Two Muslim women — Umm Isa bint Ibrahim and Amat al-Wahid — served as muftis in Baghdad. Ayesha al-Banniyyah, a legal scholar in Damascus, wrote several books on Islamic law. Umm al-Banin (d. 848 AH/ 1427 CE) served as a mufti in Morocco. Al Aliyya was a famous teacher whose classes men attended before the noon prayer (Zuhr) and women after the afternoon prayer (Asr). A Muslim woman of the name of Rusa wrote a textbook on medicine, and another, Ujliyyah bint al-Ijli (d. 944 CE) made instruments to be used by astronomers. During the Mamluk period in Cairo (11th century) women established five universities and 12 schools which women managed. Rabi’a al-Adawiyya al-Basri (717 C.E), is honored as one of the earliest and greatest sufis in Islam. Orphaned as a child, she was captured and sold into slavery. But later her master let her go. She retreated into the desert and gave herself to a life of worship and contemplation. She did not marry, and to a man who wanted her hand she said: “I have become naught to self and exist only through Him. I belong wholly to Him. You must ask my hand of Him, not of me.” She preached unselfish love of God, meaning that one must love Him for His own sake and not out of fear or hope of rewards. She had many disciples, both men and women. Zubaida (Amatal Aziz bint Jafar), the favourite wife of Harun al-Rashid, the legendary Abassid caliph. She came to be an exceedingly wealthy woman, a billionaire so to speak, independently of her husband. Granddaughter of Al-Mansur, she grew up to be a lady of dazzling beauty, articulate and charming of speech, and great courage. Discerning and sharp, her wisdom and insightfulness inspired immediate admiration and respect. In her middle years she moved out of the royal “harem” and began living in a huge palace of her own. She owned properties all over the empire which dozens of agents in her employ managed for her. A cultivated woman, pious and well acquainted with the scriptures, Zubaida was also a poetess and a patron of the arts and sciences. She allocated funds to invite hundreds of men of letters, scientists, and thinkers from all over the empire to locate and work in Baghdad. She spent much of her funds for public purposes, built roads and bridges, including a 900-mile stretch from Kufa to Makkah, and set up, hostels, eating places, and repair shops along the way, all of which facilitated travel and encouraged enterprise. She built canals for both irrigation and water supply to the people. She spent many millions of Dinars on getting a canal built, that went through miles of tunnel through mountains, to increase the water supply in Makkah for the benefit of pilgrimages. She took a keen interest in the empire’s politics and administration. The caliph himself sought her counsel concerning the affairs of state on many occasions and found her advice to be eminently sound and sensible. After Harun’s death, his successor, Al Mamun, also sought her advice from time to time. She died in 841 C.E (32 years after Harun’s death). Arwa bint Ahmad bin Mohammad al-Sulayhi (born 1048 C.E) was the ruling queen of Yemen for 70 years (1067-1138 C.E), briefly, and that only technically, as a co-ruler with her two husbands, but as the sole ruler for most of that time. She is still remembered with a great deal of affection in Yemen as a marvellous queen. Her name was mentioned in the Friday sermons right after that of the Fatimid caliph in Cairo. She built mosques and schools throughout her realm, improved roads, took interest in agriculture and encouraged her country’s economic growth. Arwa is said to have been an extremely beautiful woman, learned, and cultured. She had a great memory for poems, stories, and accounts of historical events. She had good knowledge of the Qur’an and Sunnah. She was brave, highly intelligent, devout, with a mind of her own. She was a Shi’a of the Ismaili persuasion, sent preachers to India, who founded an Ismaili community in Gujarat which still thrives. She was also a competent military strategist. At one point (1119 C.E) the Fatimid caliph sent a general, Najib ad-Dowla, to take over Yemen. Supported by the emirs and her people, she fought back and forced him to go back to Egypt. She died in 1138 C.E at the age of 90. A university in Sana’a is named after her, and her mausoleum in Jibla continues to be a place of pilgrimage for Yemenis and others. The other eminent ladies who played important role in the affairs of state and philanthropy include, Buran the wife of Caliph Mamun. Among the Mughals Noor Jehan, Zaib un Nisa left their mark in Indian history. Razia Sultan was an other eminent women ruler in India. “Most of the important Greek scientific texts were preserved in Arabic translations. Although the Muslims did not alter the foundations of Greek science, they made several important contributions within its general framework. When interest in Greek learning revived in western Europe during the 12th and 13th centuries, scholars turned to Islamic Spain for the scientific texts. A spate of translations resulted in the revival of Greek science in the West and coincided with the rise of the universities. Working within a predominantly Greek framework, scientists of the late Middle Ages reached high levels of sophistication and prepared the ground for the scientific revolution of the 16th and 17th centuries.” According to Will Durant, the Western scholar, “For five centuries , from 700 to 1200 (C.E), Islam led the world in power, order and extent of government, in refinement of manners, scholarship and philosophy”. 1001 Inventions and The Library of SecretsWatch the film produced and shown as part of the 1001 Inventions touring exhibition starring Sir Ben Kingsley. Muslim Heritage in Our SchoolFind out some of the every day items in our schools that came to us through a shared heritage with Muslim Civilisation. Al-Jazari’s 800 year old automatic Elephant clock using water technology. An example of the Muslim origins of modern automation and robotics. Scribe ClockSee al-Jazari’s water powered scribe clock brought back to life after 800 years. Association Science Education (ASE) & 1001 Inventions City 1250 Educational Project . Rageh Omaar uncovers the hidden story of Europe’s Islamic past and looks back to a Golden Age when European civilisation was enriched by Islamic learning. Art historian Andrew Graham-Dixon travels from southern to northern Spain to tell the story of some of Europe’s most exciting and vital art. 1001 Inventions: An introduction and overview1001 Inventions is a unique UK based educational project that reveals the rich heritage that the Muslim community share with other communities across the World. Engineering: Professor Al-Hassani on the History ChannelMuslim contributions to modern engineering and the birth of automation.